Two sisters, Leigh and Dawn, live in an untamed world full of adventure, diverse races with even more diverse cultures and arcane magic. All beings born to their world possess latent, extraordinary talents or affinities, whether they know it or not, and the sisters are no exception. 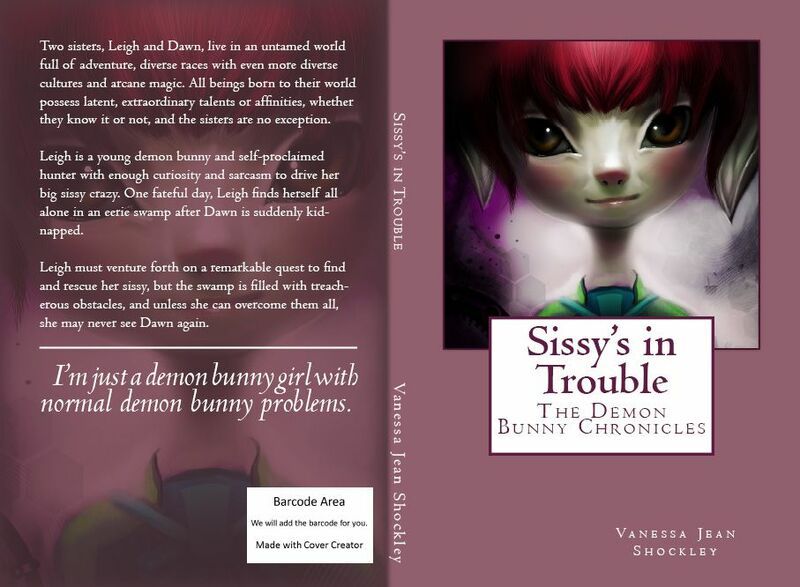 Leigh is a young demon bunny and self-proclaimed hunter with enough curiosity and sarcasm to drive her big sissy crazy. One fateful day, Leigh finds herself all alone in an eerie swamp after Dawn is suddenly kidnapped. Leigh must venture forth on a remarkable quest to find and rescue her sissy, but the swamp is filled with treacherous obstacles, and unless she can overcome them all, she may never see Dawn again.